The timeless beauty of a solid piece mated to a modern silhouette, this handsome slim-fit suit from English Laundry can give you a powerful presence in the boardroom and beyond. The suit comes with jacket and pants. The Jacket is slim fit - cut with a narrower point-to-point measurement; higher armholes and trimmer through the chest and waist. The trousers are a slim fit with a tapered leg. 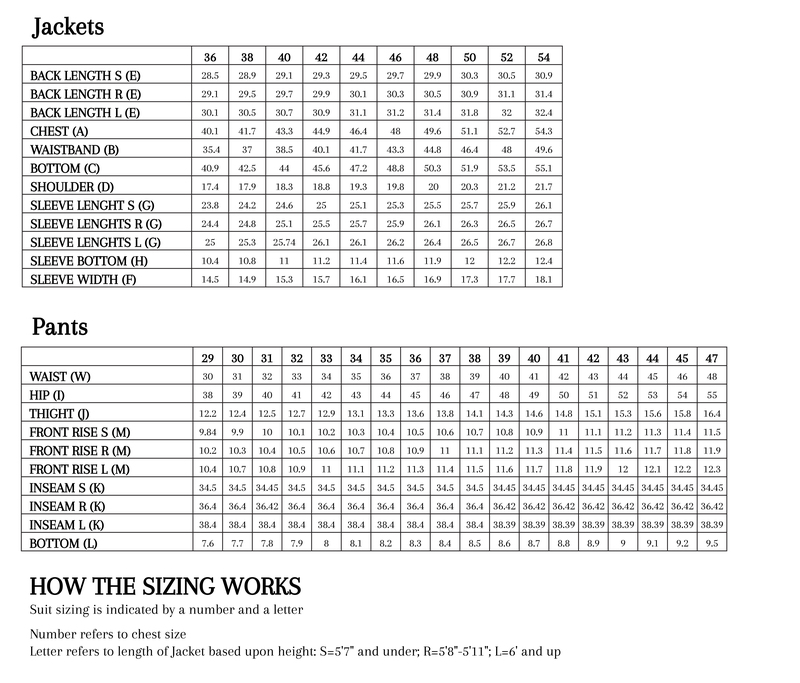 Pants have an unfinished hem, so if alterations are needed you can tailor them to your exact measurements.